It is by its very nature, that all BI-directional transceivers are mostly available for single fiber usage only. There are supposed to be Multimode-purpose BIDIs available, although their proliferation is extremely rare - the advantages of BIDIs are obvious; with the available fibers a multitude of links are able to be established. This is the reason why we have carried out a few tests of our own to prove that normal BIDIs can also be deployed with multimode fibers. For all those in a rush - it definitely works! From BERT (left) the signal is transmitted to the FlexBox (right). From there it is transmitted back to BERT. In our lab we still had the cascadable OM2 Multimode fibers at hand, which were specifically put together by us to test 10G with old multimode fibres. The nice thing about these fibers is that they reach far and wide and the fact that they are already deployed in the field. In addition, they allow various distances to be created, starting from 80m right up to 1920m with the benefit of being able to patch together different distances in one go. At one end of the stretch we deployed a 1G Bit-Error-Rate Tester with a TX 1310nm/ RX 1550nm 1G BIDI. At the other end, we placed a TX 1550nm / RX 1310nm 1G BIDI inside our flexbox loop. 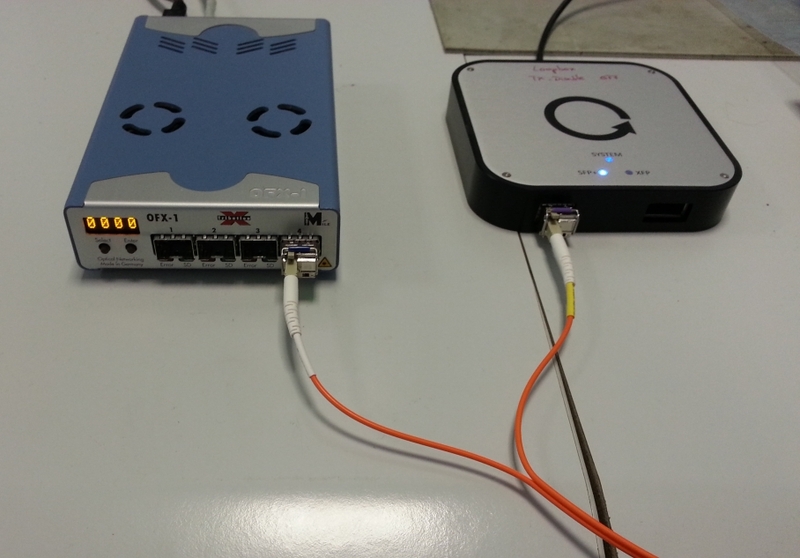 BERT generated a 1G Ethernet Signal, the BIDI transceiver coupled it to a multimode link with 1310nm and carried it to the other BIDI SFP . Then, the incoming signal inside the flexBox loop was sent to the transmitter of the same BIDI and in turn, was sent through the same fibers with 1550nm back to BERT. This allowed us to analyze if the sent Bit Pattern corresponded to that of the received one. This worked well up to a distance of 320m. Over larger distances we ended up with bit failure rates. Inside a Bi-Directional Transceiver there is a component with the pretty name of "BOSA"(Bidirectional Optical Sub-Assemblies). This component comprises of a sending Laser Diode, a receptor, as well as a 2 channel WDM. Positioned at one end of this component, there is a single fiber connector (mostly LC). At the other end, there are electrical signals that are fed in and out, respectively. A very short single mode fiber is found, too, inside the connection to the LC connector. It is at this specific point, where we connect our multi-mode fibers (with a core diameter of 50µm). In the send direction this causes no problems at all. A single mode with a diameter of 9µm is able to connect a signal to the inner core of the multi -mode fibers. It is the receive direction that proves to be a little bit more challenging, since multi- mode fibers have a considerably larger core diameter, in turn, causing the light to having to be transported over the whole of the core instead. We should therefore have a very high insertion loss, since only a fraction of the light reaches the core of the BOSA single mode. In our setup this was not the case. We transmitted with -5dBm (BIDI in the flexbox loop) and managed to measure a level of -7dBm. The explanation lies in the setup of the multi-mode fibers. It consists of various gradients, communicates with various types of glass and has a refraction rate whose construction resembles that of an onion. 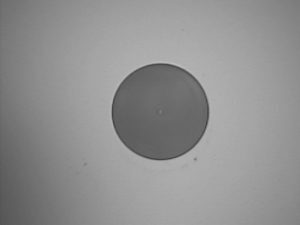 Since our BOSA coupled the light into the very inner core of the gradients forcing a large amount of this light to travel alongside too, causing our insertion rate to be low. In the field this could present a problem, for instance in the case of low bending radii of the cables. If that were the case, considerable larger amounts of light would leave the inner gradients and would get transported over the external layers of the fibers instead. The result was a higher insertion rate since it is clear that less light was connected-the light on the outer gradient layers got reflected back. Have fun when recreating this. It is always good idea to keep an eye on your switch or router interfaces. There should really be n0 CRC errors during normal operation. Should these suddenly increase by the minute or even by the second you, can safely conclude that the transmission path is not ideal.